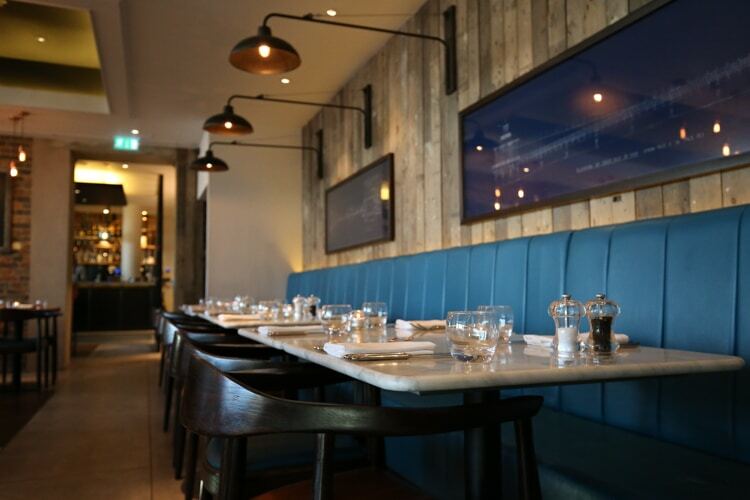 It’s the talk of the town and the hottest opening Brighton’s seen for some time. 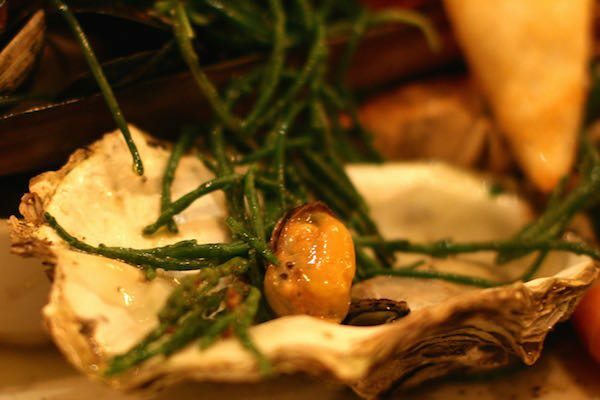 After much anticipation Raz Helalat, owner of the Coal Shed, opened his second restaurant The Salt Room in mid February to much fanfare.To celebrate the opening, Raz launched a treasure hunt called the Salt Search, which certainly got things off to a buzzing, exciting start. 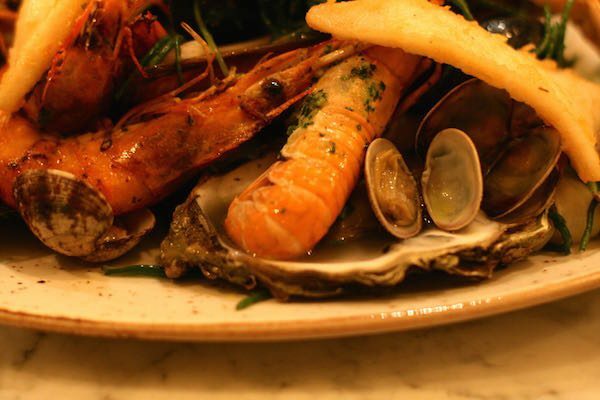 Raz’s existing restaurant The Coal Shed is one of Brighton’s best; specialising in fine cuts of meat cooked on a Spanish Josper grill, as well as select fish and seafood dishes. After three and a half years, it was becoming so popular Raz was having to turn customers away, so he started looking for a bigger location. 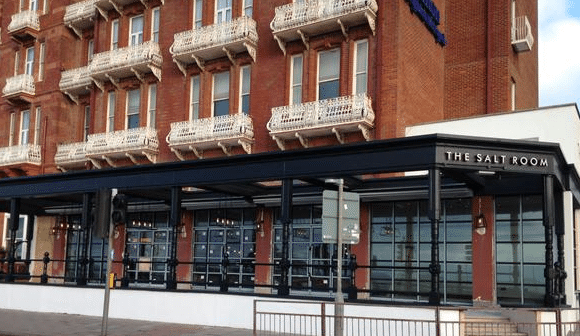 But then a wonderful opportunity presented itself that was too good to ignore – the chance to open a new restaurant in the former Bar 106 at the Brighton Hilton Metropole, in the same year as the hotel’s £3.75 million renovation to mark its 125th anniversary. 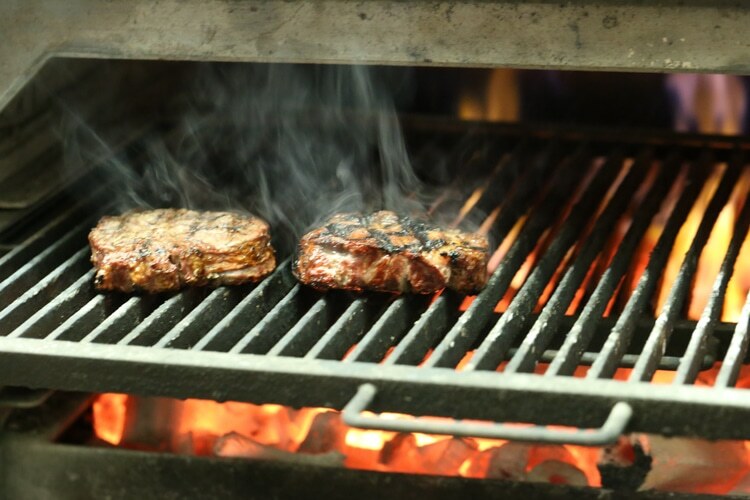 Raz knew he could create somewhere really special focusing on sustainable British fish and seafood grilled to smoky perfection on the Josper, with a few select meat dishes for the committed carnivores. That way the two restaurants could work together in perfect symphony – complementing, rather than competing with, each other –sharing certain similarities but with their own distinct personality and style. The Salt Room occupies a large space at the corner of the Hilton Metropole with stunning views facing the West Pier and what will soon be the i360 tower. The outside of the restaurant is striking black and glass, with the restaurant name emblazoned in bold white letters. 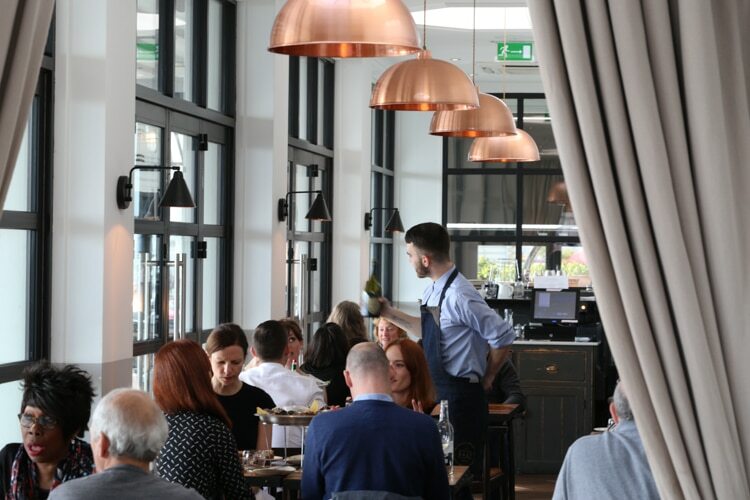 With capacity for 84 covers in the dining area, 16 in the bar plus an extra 55 on the terrace, the place will be packed to the rafters once the weather warms up. A spring opening is a very wise move; allowing the staff enough time to build up to what will be a frenetic pace once high summer hits the city. As things stand, the restaurant is six weeks old and sparkling new. The interior décor is contemporary urban, almost industrial, with exposed brickwork, clean lines and fantastic lighting. There’s nowhere else quite like it. Since opening, the restaurant has received a few criticisms on TripAdvisor but that goes with the territory with any hyped restaurant launch. 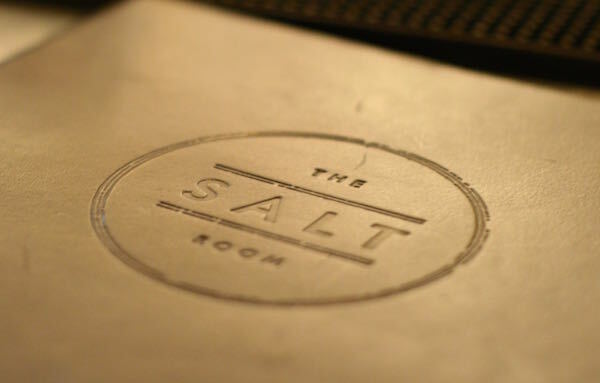 Expectations run high and The Salt Room is a destination restaurant with prices to match, just like The Coal Shed. To give credit where it’s due; Raz pays close attention to customer feedback. There’s a lunch and pre-theatre deal priced at £15 for two courses and £17.50 for three, which is an absolute steal in anyone’s book. Overall reviews have been resoundingly good. One could say The Salt Room has been making waves! On arrival you enter the reception and bar, with the kitchen straight ahead and the main dining area to the right. 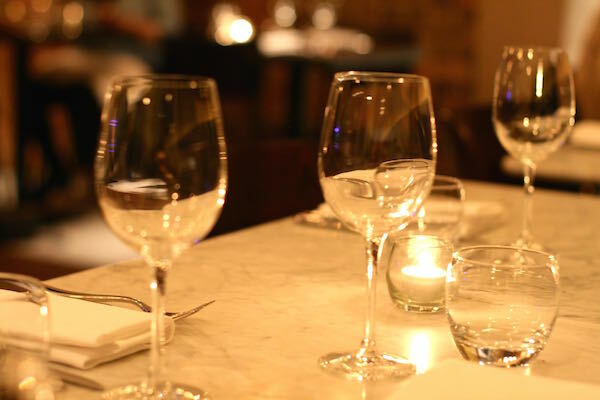 The atmosphere is convivial but smart; suitable for any occasion, whether a business lunch, romantic dinner or a gathering with friends. At the bar we look through the impressive drinks list; deciding whether to go for one of the apéritifs, the ‘gin and tonicas’, the ‘sailor’s tipples’, a classic martini or a little something from the ‘Bloody Mary’s box’. By chance my dining partner and I choose the same Bloody Mary. Brighton Morning Cure is made from pickled vodka with clamato (tomato juice and clam broth combined), garlic salt and spices. As Bar Manager Matt Ottley gets busy making our drinks, he answers our myriad questions. Apparently it’s Salt Room policy to experiment with unusual combinations and infusions, hence the pickled vodka made in-house. They also do a Bloody Mary made with whisky, one with gin and dry sherry plus another with tequila and smoked paprika salt (all £8). The Bloody Mary ‘box’ mentioned on the menu refers to the wooden box on the bar containing various condiments, such as Siracha chilli sauce as well as the usual Tabasco, so you can customise your own spices and heat. I ask about the paprika salt and he proudly produces an entire range of different salts; Himalayan pink, spicy, garlic, lemon and smoky. It’s a nice touch, given the restaurant’s name. Our drinks have a depth of flavour that really packs a punch and we can see why it’s called the Brighton Morning Cure – this is a drink that would kick-start any grey day. It comes served with a dehydrated tomato slice, a cornichon, half a quail’s egg and a fast fried basil leaf. The pickled vodka adds extra zing so there’s lots going on in the glass and it’s like a meal in itself. It’ll be hard to go back to Bloody Marys with ordinary tomato juice after this – I may have to start buying clammato and experiment. With our taste buds properly awakened, we move to our table and look through the menu. 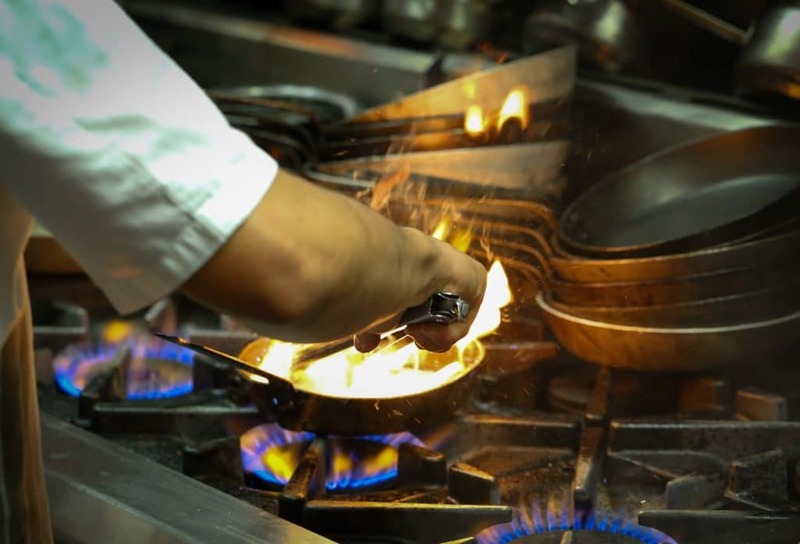 The food draws on a variety of influences for inspiration; there are classic British and European dishes plus a sprinkling of more unusual combinations and ingredients from further afield. cocktail, the ‘Fruits of the Sea’ section of the menu, ‘whole market fish’ cooked on the Josper grill, the surf board and then the different ‘surf and turf’ possibilities. Other dishes show the creativity and skill at work in the kitchen under the watchful eye of Head Chef Dave Mothersill, such as a starter of raw beef with egg yolk jam, burnt spring onion, ponzu and sesame (£8) and a luxurious-sounding main course of venison haunch with chocolate, roast figs, turnips and broccoli (£19). Our charming waitress is as passionate about the food as she is knowledgeable, so with her advice we decide on the Surf Board to share (£40), followed by the roast halibut with oxtail (£20). We want to leave enough room to try the dessert Taste of the Pier. To drink we choose the white Italian wine Urra di Mare ‘Sigh of the Sea’ Sauvignon Bianco Mandrarossa from Sicily (£25.50). 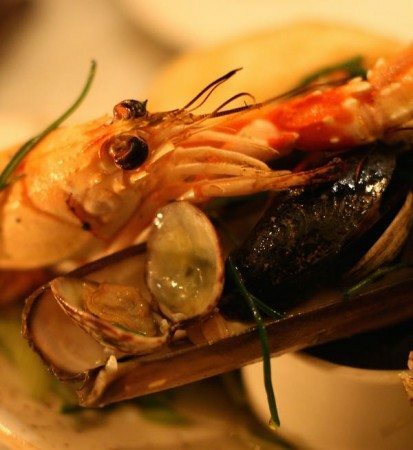 With the arrival of our Surf Board we were very impressed; a large plate is laden down with the most incredible-looking hot seafood; oysters, Sussex prawns, razor clams, langoustines, scallops and squid with a small pot of the house chargrill mayonnaise for extra smokiness. The seafood is some of the freshest and tastiest I’ve ever eaten. The large pieces of squid had been coated in a delicate batter before being gently cooked, so they were super soft but with a delicate crunchy texture on the outside. The oysters were warm, also gently cooked, so not as liquid as they are raw, nor in the least bit chewy when fully cooked. A perfect midway point. The white flesh of the langoustines and prawns were almost milky soft in their freshness and sweet to taste. The scallops were also delicious – in fact, everything was really very good indeed. With the Surf Board we were given a small bowl of chips and a bread roll. Some soft fresh bread would have been a lovely way to mop up the buttery juices of the seafood but one crispy bread roll shared between two didn’t really work that well, unfortunately. After a small break we were onto our main: a big juicy hunk of halibut alongside a little mound of braised oxtail with parsley root and mushroom tea. The halibut was a very meaty piece of fish, perfectly cooked. The fish and the oxtail came covered in dark green leaves, which seemed very much like kale rather than the aforementioned parsley root (so maybe that had been used elsewhere). Below the curly leaves was a large slice of earthy mushroom, which I was very pleased to discover. Both of us enjoyed the flavours of the dish – the firm, fleshy halibut held its own alongside the rich, tenderous oxtail, and the mushroom tea was like a thin consommé so added moistness. I would have preferred a creamy velouté sauce to help bring together the different components on the plate in a richer way, but it was a well executed and tasty choice nonetheless. As our last hurrah, my dining partner and I went all out and shared the wonderful dessert Taste of the Pier, which comes very well presented on a gorgeous thick slab of grooved wood. Apparently the wood is actually really from the pier, which makes it extra special. 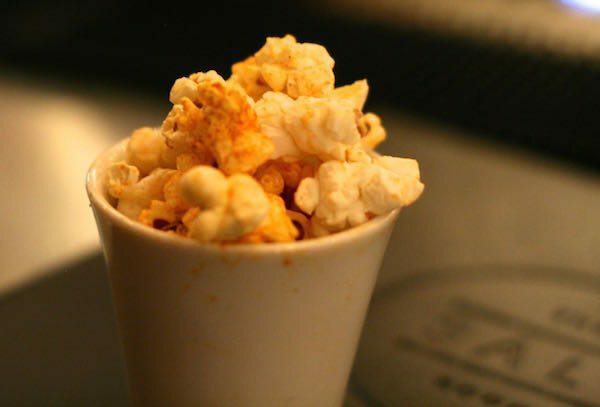 You each get a stick of sticky sweet candy floss, a crunchy salted ice-cream cone filled with creamy caramel and chocolate, a ring doughnut that tastes exactly like those from the pier, a squidgy square of coconut marshmallow and then mock pebbles made from dark chocolate and honeycomb. Yes, it’s a very sweet dessert after a fulsome meal but it’s an unmissable experience if you have the appetite. I doubt it’s possible to create (or find) a dessert that better capture’s Brighton’s frivolous, happy-go-lucky personality. In fact, that’s what struck me the most – how light-hearted we felt ending our meal on such a high note and how that contrasted with what we’d had before. 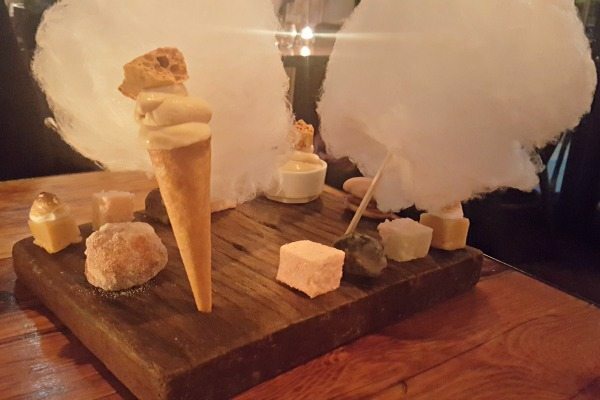 The Salt Room is a restaurant where the food and drink is a serious matter, yet this dessert gave us a sense of playfulness and humour alongside such mature, decent food. It seems Raz has done it again and created an inspired, rounded experience that Brighton can now relax and enjoy. Bring on the summer. I can’t wait to try out that terrace!